This paper explores ephemeral landscapes of smell using datasets from ethnographic fieldwork, archaeological survey, and sediment geochemistry in western Anatolia. Our analysis brings together regional datasets from the late Ottoman period to the present to understand the places that mark the transition from the agropastoral migratory lifeways of Yörük tribes to settled communities. We explore one Yörük-legacy (Tekeli tribe) compound to understand ‘settled’ lifeways over three generations, and how study of these legacy traditions may be a valuable contribution to experimental archaeology. Our entry into this discussion is a study of food – its preparation, storage, and consumption – and its associated olfactory landscapes. While ethnography helps determine how aromas define active and contemporary spaces and spheres of intimacy, sediment geochemistry offers a method for investigating archaeologies of aroma. We thank the Ministry of Culture and Tourism in Turkey for the opportunity to conduct this research. The Manisa Museum of Archaeology and Ethnography has been a valued partner of the Central Lydia Archaeological Survey and Gygaia Projects. 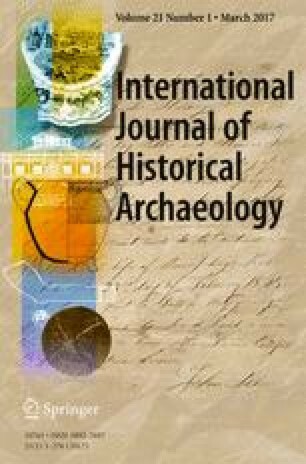 In addition, we thank members of CLAS and the Kaymakçı Archaeological Project (KAP) for their various contributions to this study, including E. Cobb, N. Guathier, E. Moss, C. O’Grady, D. Plekhov, and B. Sekedat. Communities in the Marmara Lake basin have graciously talked with us about their individual and collective histories. Samples were analyzed in Boston University’s Department of Earth & Environment. We thank A. Crowe, an undergraduate research assistant on the project (2013–2014), as well as the laboratory manager J. Sparks and ICP specialist T. Ireland for their guidance. The research has been supported by the U.S. National Science Foundation (NSF, Awards BCS-0649981 and BCS-1261363), and the U.S. National Endowment for the Humanities (Award RZ5155613).